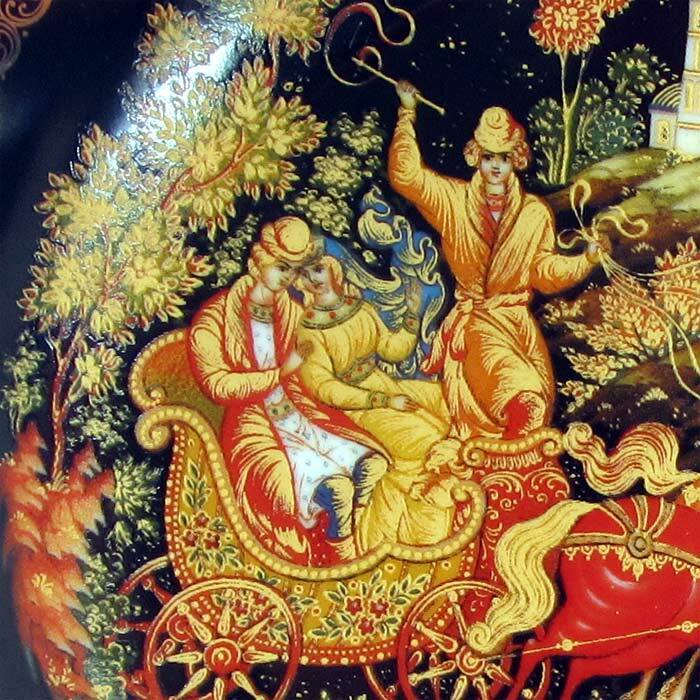 This porcelain Russian decorative plate is from the special collection "Russian fairy tales in porcelain". The subject of the painting if the miniature "Russian Troyka". 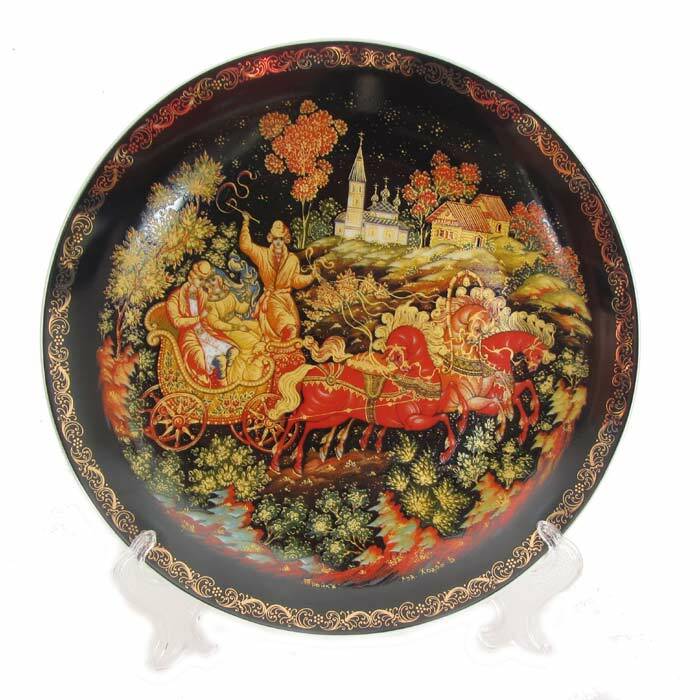 The plate it was made on basis of lacquering original which was painted by artist Medvedev I. specially for this collection. The plate is made of high quality porcelain. The picture is copied by means of modern techniques. On the back side there is description of the subject made in two languages - Russian and English. There is a special loop to hang the plate on the wall. 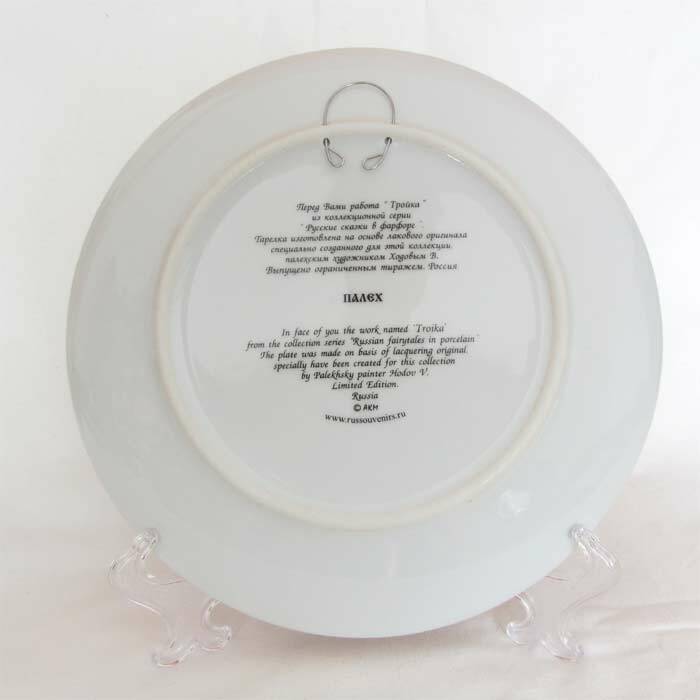 As well there is a plastic stand that can hold the plate in vertical position if to put it on the table or shelf. This decorative plate is packed into special souvenir decorative box.